The word inflammation comes from the Latin “inflammo,” meaning “I set alight, I ignite.” Acute inflammation is a biological immune response to harmful stimuli such as pathogens, damaged cells, irritants or injuries. It is the body’s attempt at self-protection and a basic survival instinct. When something harmful or irritating affects a part of our body, the body will attempt to remove the stimuli and initiate the healing process. Without acute inflammation, wounds and infections would never heal and survival would be compromised. The familiar signs of acute or normal inflammation are pain, redness, swelling, heat and loss of function. These are signals that your immune system has been activated. Inflammation actually begins when pro-inflammatory hormones send out a call for white blood cells to clear out an infection or damaged tissue. Equally powerful anti-inflammatory compounds move in to begin the healing process once the threat is neutralized. Acute inflammation that ebbs and flows when needed indicates a well-balanced immune system. Acute inflammation has an immediate onset, is of short-lived duration and has a definitive resolution or outcome. It’s when the symptoms of inflammation don’t recede that troubling chronic inflammation begins. This type of inflammation is a key cause or factor in almost all chronic degenerative and lifestyle-caused diseases. Chronic inflammation differs from acute inflammation in that it can involve persistent foreign bodies, a persistent infection, a non-degradable pathogen that can cause persistent inflammation, or an overactive immune system response. These can kick the immune system into high gear lasting from several months or even years. 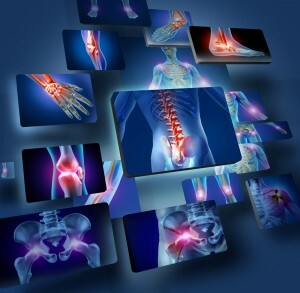 The outcomes of chronic inflammation can be the destruction of the tissue, thickening and scarring of connective tissue, and death of cells or tissues. Failure to eliminate whatever was causing the acute inflammation. An autoimmune response where the immune system mistakenly attacks healthy tissue. Dysbiosis, an imbalance of bacteria or fungi in the gastrointestinal tract. Stress. Constant psychological, emotional or physical stress raises cortisol levels, creating inflammation. Environmental toxins. Pollutants and toxic metals contribute to inflammation. Diet and lifestyle. Too much fat, sugar and processed foods, obesity, inactivity and poor sleep quality can all increase inflammation. Low grade inflammation is a factor in most health issues. Studies show that the risk of heart disease and cancer are modifiable by our lifestyle choices which includes the foods we choose to eat each day. With every bite we take, we’re either balancing the pro- or anti-inflammatory compounds in the body, or tipping the scale to one end. Fast foods. Processed, packaged and prepared foods top the list of inflammatory foods due to harmful oils, sugar, artificial sweeteners, and food additives. Sugar. Excessive sugar intake is linked to increased risk of obesity, type 2 diabetes and metabolic syndrome. Common vegetable cooking oils. Common vegetable cooking oils are very high in omega-6 fatty acids and dismally low in omega-3 fats. A diet consisting of a highly imbalanced omega-6 to omega-3 ratio promotes inflammation and breeds inflammatory diseases like heart disease and cancer. Trans fats. Trans fats increase levels of bad cholesterol while lowering levels of good cholesterol. They have also been found to promote inflammation, obesity and resistance to insulin, laying the groundwork for degenerative illnesses to take place. Dairy products. As much as 60% of the world’s population cannot digest milk. Milk is also a common allergen that can trigger inflammatory responses, such as stomach distress, constipation, diarrhea, skin rashes, acne, hives and breathing difficulties in susceptible people. Feedlot-raised meats. Commercially produced meats are fed with grains like soy beans and corn, a diet that is high in inflammatory omega-6 fatty acids but low in anti-inflammatory omega-3 fats. Processed meats. Processed meat includes animal products that have been smoked, cured, salted or chemically preserved. Compounds in meats can cause an immune response that may trigger a chronic low-grade inflammatory response which has been linked to cancer and heart disease. Alcohol. Regular high consumption of alcohol has been known to cause irritation and inflammation of the esophagus, larynx and liver. Over time, the chronic inflammation promotes tumor growth and gives rise to cancer at the sites of repeated irritation. Refined grains. Refined grains are devoid of fiber and vitamins and full of empty calories. Refined grains have a higher glycemic index than unprocessed whole grains. Consistently consumed, they can hasten the onset of degenerative diseases such as cancer, coronary disease and diabetes. Artificial food additives. Artificial food additives such as aspartame and monosodium glutamate can trigger inflammatory responses in people already suffering from inflammatory conditions such as rheumatoid arthritis. Food allergies. Repeated long-term exposure to foods that irritate can cause inflammation and lead to chronic disease. It’s become increasingly clear that chronic inflammation is the root cause of many serious illnesses. “Cooling the fires of hidden inflammation may be the most important thing you can do for your long-term health and well-being,” says Dr. Mark Hyman, editor in chief of Alternative Therapies in Health and Medicine. Up next: Part II: Reducing inflammation with supplements, diet and lifestyle changes. Highly pigmented fruits and vegetables contain phytonutrients. Phytonutrients are natural biochemical components which work together with vitamins, minerals and fiber to promote good health. Phytonutrients contain antioxidants that protect your cells from disease-causing free radicals. Studies show that eight out of ten Americans fall short on their phytonutrient intake which means they face a nutrient deficit. Those who eat generous amounts of a variety of fruits and vegetables as part of a healthy diet are more likely to have a reduced risk of developing chronic disease including type 2 diabetes, cardiovascular disease, high blood pressure, stroke, and some types of cancer. When it comes to fruits and vegetables, a more colorful plate benefits your health and your waistline. Adding 3 – 5 servings of fruits and vegetables to your daily meals or snacks increases nutrients and fiber essential to good health without adding a significant amount of calories and fat. All produce forms count including fresh, frozen, canned, dried and 100% juice. Frozen fruits and vegetables, frozen at their peak of ripeness, are just as nutritious as fresh. To put a colorful diet in perspective, eat a rainbow of fruits and vegetables each day. Variety is very important as each food brings its own health benefits to the table. As a rule, the brighter the color of the food, the more concentrated its nutrition. When choosing colorful foods, stick with whole foods and avoid foods that get their color artificially through processing and added dyes. RED – Red fruits and vegetables contain lycopene, an effective and powerful antioxidant. Lycopene belongs to the carotenoid family which includes beta-carotene, lutein, and zeaxanthin. Lycopene’s antioxidant actions help maintain the strength, thickness and fluidity of cell membranes, which are vital in the prevention of disease. Lycopene aids in the prevention of plaque formation in the arteries, inhibits age-related macular degeneration and cataracts, prevents aging of the skin and is a natural internal sun protectant. Strawberries contain folate which aids heart health and decreases the risk of certain birth defects. Cherries are a great source of fiber, vitamin C and potassium, which help maintain blood pressure. Cranberries contain proanthocyanidins that prevent bacteria from sticking to bladder and stomach walls reducing chance of illness. Kidney beans contain B vitamins, which are key for neurological function. Tomatoes, watermelon, red grapefruit, red peppers, beets, pomegranates, cherries, wild salmon, kidney beans, red apples, raspberries, strawberries and cranberries. ORANGE – Orange fruits and vegetables contain an abundance of antioxidants, fiber and phytonutrients that are good for your skin, eye and heart health. Foods rich in carotenoids have been shown to decrease the risk of various cancers including lung, colon, bladder, cervical, breast and skin cancers. Beta-Carotene, a powerful antioxidant, can help delay cognitive aging and protect skin from sun damage. Beta-carotene is a precursor for vitamin A which is important for night vision, neutralization of free radicals and the health of your immune system. Orange foods are chock full of vitamin C which boosts the immune system, protects against cardiovascular disease and helps rebuild skin collagen. Pumpkins contain zinc, a mineral essential for proper brain function, reproductive health and wound healing. Sweet potatoes, carrots and citrus fruits are loaded with potassium which aids muscle and nerve function and helps maintain the proper electrolyte and acid-base balance in your body. Cantaloupe, peaches, oranges, tangerines, papaya, mangoes, pumpkin, sweet potatoes, orange peppers, and carrots. YELLOW – Yellow vegetables such as corn contain the antioxidants zeaxanthin and lutein which work together to block harmful rays that can cause eye damage over time. Pineapple contains bromelain which aids digestion, absorption and elimination. Yellow bell peppers are packed with vitamin C necessary to produce carnitine, a compound in muscles that converts fat into energy. Yellow fruits and vegetables reduce age-related macular degeneration, lower LDL cholesterol and blood pressure, promote collagen formation and healthy joints, encourage alkaline balance and work with magnesium and calcium to build healthy bones. Yellow peppers, lemons, yellow squash, garbanzo beans, butternut squash, apricots, pears, nectarines, sweet corn, bananas and pineapple. PURPLE/BLUE – Purple foods are colored by a pigment called anthocyanin, a strong and protective antioxidant which can help reduce the risk of cancer, improve memory and assist with healthy aging. Purple fruits and vegetables are also packed with flavonoids known to be one of the most powerful phytochemicals. Flavonoids provide heart-healthy benefits to the cardiovascular system, lowering LDL cholesterol, raising HDL cholesterol, and improving memory storage. Lavender is associated with increased blood circulation and is helpful in reducing insomnia and anxiety, as well as treating skin ailments such as psoriasis, acne, wrinkles, cuts and burns. Purple basil, which has high doses of vitamin A, vitamin C and calcium, is beneficial for the hair, skin and eyes. Berries, grapes, eggplant, plums, figs, raisins, purple basil, purple potatoes, lavender, and red wine (in moderation). GREEN – Plant foods derive their green pigments from chlorophyll, a naturally occurring molecule. Chlorophyll delivers a continuous energy transfusion into the bloodstream, replenishing and increasing red blood cells. Chlorophyll is not only a powerful oxygenator, it strengthens our immune systems and enhances overall wellbeing. Chlorophyll is known to improve the health of the circulatory, digestive, immune and detoxification systems of the body. There are many delicious green foods all containing tremendous health benefits. Green-hued foods contain EGCG, a potent antioxidant, plus lutein, zeaxanthin and isoflavones. These phytonutrients are beneficial for eye health, cancer prevention, wound healing and gum tissue health. Spinach contains vitamin A which helps protect skin from sun damage and ensures healthy cell turn over. Honeydew, avocado, kiwi, limes, kale, collards, spinach, tea, peppers, peas, grapes, green apples, asparagus and broccoli. WHITE – White foods contain the phytonutrients allicin and quercetin that may reduce your risk of heart disease and cancer. Leeks are packed with inulin, a plant fiber that has shown to increase calcium absorption. Onions contain both sulphur, a powerful antibiotic, and quercetin, an anti-inflammatory agent. White potatoes are high in vitamin B6 and potassium which support the cardiovascular system and aid in prevention of disease. Garlic, onions, leeks, cauliflower, potatoes, fennel, white turnip, white corn, white peaches, ginger and mushrooms. Following these guidelines, it is not difficult to get your full servings of fruits and vegetables each day. Most of us tend to eat the same foods regularly. Next time you go grocery shopping, try a fruit or vegetable that you have not had before rather than focusing on what is familiar to you. When you explore new foods, you are introducing different nutrients and antioxidants to your body. To reap the most health rewards from your fruit and vegetable consumption, simply think in terms of naturally bright-hued foods. Take your plate from monotone to an artist’s palette and eat your full range of colors every day. Greens by Quantum Nutrition Labs – Nature’s amazing live-sourced super nutrition formula for optimal health and rejuvenation. Our prized mix features our pristine Power Grass-Plus Blend™ (low-temperature, air-dried) coupled with Power Greens Blend™ for optimal effect. Vegan/vegetarian formula. Deeper Greens by Ortho Molecular Products – Oxygen Radical Absorbance Capacity (ORAC) is a unit value assigned by researchers to measure the antioxidant value of a given food. Foods with a high ORAC value benefit the body by increasing plasma antioxidant levels. Deeper Greens is formulated for excellent pH and fiber values, and contains a high ORAC value to meet the National Cancer Institute’s recommended 5-a-day intake of fruits and vegetables in a satisfying single serving. Ortho Molecular’s Deeper Greens uses organically grown fruits, vegetables, and grasses where available. Organic Greens & Reds Powder by Douglas Laboratories – Organic Greens and Reds powder is a healthful supplement containing a concentrated phytonutrient blend of grasses, vegetables and botanicals. This product contains a wide assortment of organic vegetables and fruits that provide potent antioxidant protection. In addition, fiber from flax seed and digestive enzymes are included to support overall gastrointestinal health. Sweet Wheat Capsules by Brightcore Nutrition – Rich in minerals such as phosphorus, iron, calcium and potassium and packed with vitamins including A, B, C and E. Sweet Wheat provides an array of nutritional benefits including a boost to the immune system, detoxification, strong and healthy hair, skin and nails, and a more restful night’s sleep. Phytoganix by Metagenics – A convenient, delicious way to get a diverse daily supply of phytonutrients from certified organic sources to support overall good health. This highly nutritious, berry red formula provides superfruits such as antioxidant-rich raspberries, blueberries, goji berries, and lingonberries, herbs including spirulina, polyphenol-rich green tea, astragalus, and ginger, vitamin C-rich acerola extract and vegetables such as green cabbage, beets, carrots, and spinach. Essential fatty acids (EFA’s) are polyunsaturated fatty acids that are required for good health and biological processes yet the human body is unable to synthesize them. The two major families of these fats, omega-3’s and omega-6’s, are nutritional cornerstones of human health and, as such, we must consume these fats through diet or supplementation. Omega-3 fatty acids play a vital role in the health of every cell of the body and help protect us from a number of key health threats. Fish, nut oils, and the oils of certain plants are the primary dietary sources of omega-3 fatty acids. Eicosapentaenoic acid (EPA) and docosahexaenoic acid (DHA) are found in cold water oily fish such as salmon, mackerel, halibut, sardines, tuna algae and krill. Alpha-linolenic acid (ALA) can be found in the oils of palm, flaxseed, rapeseed and soybeans, and in raw nuts such as cashews, pecans and walnuts. A healthy diet contains a balance of omega-3 and omega-6 fatty acids. There is a growing health concern that the average Western diet contains far more omega-6 fatty acids than are needed for optimal health. The typical American diet contains a high ratio of 14 – 25 times more omega-6’s than omega-3’s. In fact, Americans appear to have the lowest intake of omega-3’s than any other developed country. 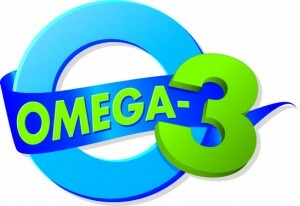 Optimal balance of fatty acids would be more in line with a ratio of 4:1, roughly 4 parts omega-3’s to 1 part omega-6’s. Unfortunately, we consume these high levels of omega -6’s through saturated, hydrogenated oils found in so many processed foods, snack foods and fast foods. Many nutrition experts believe that before the heavy consumption of processed foods we consumed roughly equal amounts of essential fatty acids. A reduction of saturated fats and transfats and an increase in polyunsaturated fats would be beneficial to the health of many Americans. Support of cardiovascular function and circulation. Support of healthy blood vessel function. Promotion of the metabolism of dietary fat and cholesterol. Support of a healthy heart rhythm. Promotion of healthy triglyceride levels in healthy individuals. Support of healthy brain function. Protection of nerve and brain cells from oxidative stress and damage. Promotion of healthy eyes and vision. Support of healthy tissue moisture and tear production. Promotion of joint mobility and flexibility. Support of a healthy immune response. Stimulation of the production of healthy skin cells and nourishment of hair, skin and nails. Support of digestive and gastrointestinal health. Promotion of positive mood and well being. High triglycerides – High triglycerides are associated with heart disease and untreated diabetes. To reduce the risk of heart disease, the medical community believes it is important to keep triglycerides below a certain level. Supplementation with fish oil is believed to aid reduction of triglycerides. Heart disease – Fish oil helps keep healthy hearts healthy and is thought to lower the risks of heart attacks in people who have heart conditions. High blood pressure – Omega-3 fatty acids appear to expand blood vessels, which helps bring blood pressure down in individuals with high blood pressure. Rheumatoid arthritis – Fish oil helps reduce inflammation, resulting in decreased pain and stiffness and increased mobility. Age related eye diseases – Evidence shows fish oil may lower the risk of developing macular degeneration. High cholesterol – Scientists believe that fish oil may lower cholesterol by preventing absorption of cholesterol in the intestine. EPA/DHA Essentials by Pure Encapsulations is an ultra-pure, molecularly distilled fish oil concentrate that has been tested for environmental contaminants. Ingredients are sourced mainly of sardines and anchovies found off the coast of Chile or Norway. Contains 300 mg EPA and 200 mg of DHA. OmegaGenics EPA-DHA 500 by Metagenics features a concentrated source of health-promoting omega-3 essential fatty acids from cold-water fish. This product is produced in a Norwegian pharmaceutical-licensed facility. Ingredients are tested for contaminants by a leading third-party lab and are stabilized with natural antioxidants to maintain freshness. Contains 600 mg EPA and 400 mg DHA. Orthomega Fish Oil by Ortho Molecular is a high-dose premium grade fish oil providing 420 mg of EPA and 300 mg of DHA per capsule in a burp free formula. Artic Omega Liquid Lemon by Nordic Naturals is an excellent source of omega-3 fatty acids in their naturally existing ratios. Provides 826 mg of EPA and 550 mg of DHA from purified deep sea fish oil from anchovies and sardines. Finest Pure Fish Oil with Essential Oil of Orange by Pharmax contains high concentrations of EPA and DHA and has virtually no fish oil odor or taste. Provides 750 mg DHA and 1,050 mg EPA.